Each episode will witness performances on all-time favorite Bollywood super hits, traditional melodies and dance numbers setting the tone for the season. Staying true to its vibe, artists will give a twist to two songs from their original avatar in creating a new refreshed rendition. Be it a recent blockbuster dance hit or an evergreen romantic song, each track has been carefully selected to blend into another, creating a version one couldn’t imagine. The series will feature performances by Armaan Malik, Aditya Narayan, Amaal Mallik, Akhil Sachdeva, Amruta Fadnavis, Ash King, Benny Dayal, B Praak, Dhvani Bhanushali, Guru Randhawa, Harshdeep Kaur, Jubin Nautiyal, Javed Ali, Jonita Gandhi, Millind Gaba, Mohammed Irfan, Neha Kakkar, Nandini Srikar, Nikita Gandhi, Neeti Mohan, Prakriti Kakar, Sukriti Kakar, Salim Merchant, Shirley Setia, Vishal Dadlani, Shekhar Ravjiani, Shreya Ghoshal and Tulsi Kumar. 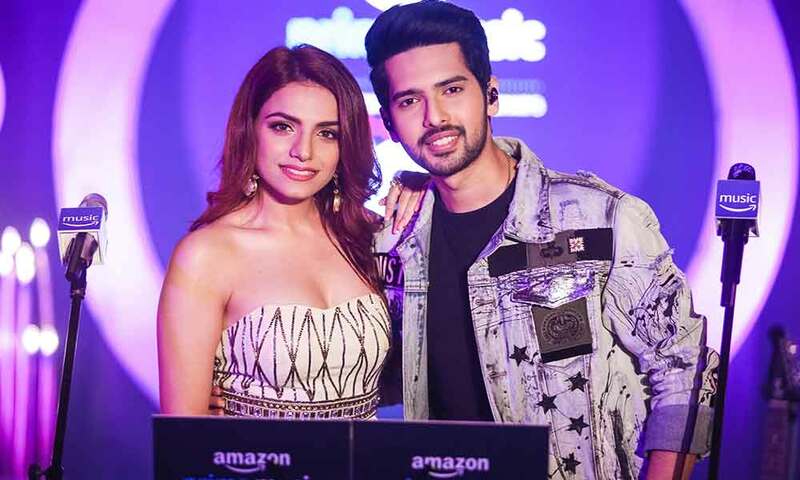 Commenting on the collaboration with T-Series MixTape, Sahas Malhotra, Director, Amazon Prime Music said, “At Amazon Prime Music, we remain committed to delighting Prime members with an ad-free listening experience across a great selection. In associating with T-Series’ MixTape season 2, Prime members will get to exclusively first enjoy the songs they love in a new re-imagined rendition, all ad-free and voice enabled. T-Series marked its entry into the musical web-series space after a successful stint with its launch pad project T-Series MixTape Season 1 in the year 2017 with over 400+ million views, followed by MixTape Punjabi. T-Series is currently ruling the roost on YouTube. With over 64 billion views on their channel and 1,35,000 subscribers per day, the musical giant is in the run to be YouTube’s most followed channel across the globe with 88.78 million subscribers currently.